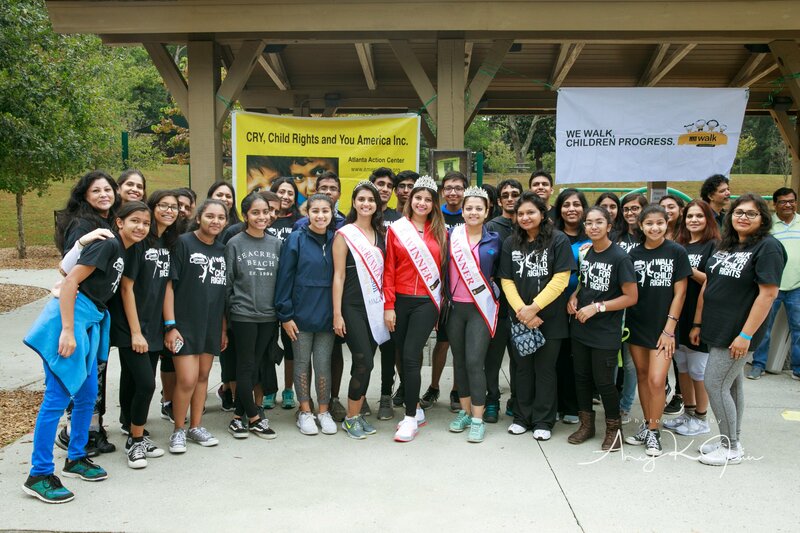 Atlanta, GA, November 2018: Atlanta’s fifth Annual CRY Walk took place at Sims Lake Park in Suwanee on October 20, 2018. The charity walk was organized by the CRY Atlanta chapter and Northview High school CRY club. NRI Pulse editor Veena Rao flagged off the event and walked alongside the other 100+ students and parents. In her address, Rao said the young CRY team is an example of what can be achieved when humanity and genuine intent come together. The winners of ‘Miss/Mrs. Bharat GA’ competition, Ritu Jain, Abhiruchi Jain and Priyanka Sharma also joined the event to show their support and shared encouraging words with students. The event included fun activities such as henna, face painting, zumba and Bollywood dances, great music and games along with great prizes. The event met the goal of raising $4000 with the help of sponsors, donors and event participants. 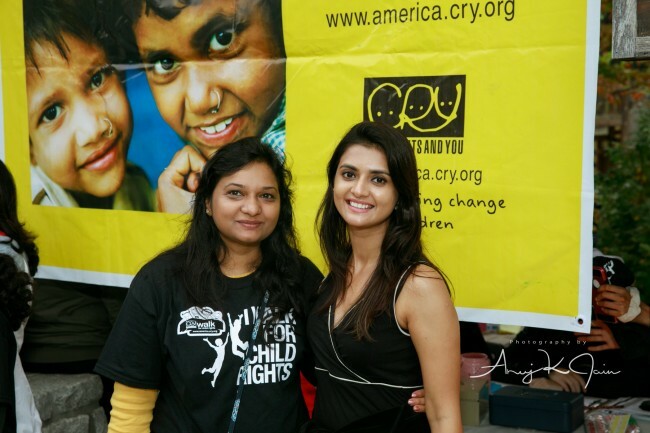 CRY Atlanta recognized Mehak Jain, Ronit Rajani and Krishna Patel for raising the most money. CRY Atlanta’s president, Mehak Jain thanked volunteers, supporters and sponsors in making the event successful. Ria Puri was recognized with the ‘Volunteer of the year’ award. CRY America is a 501c3 registered non-profit driven by its vision of a just world in which all children have equal opportunities to develop to their full potential and realize their dreams. We ensure that basic rights of education, healthcare and protection from exploitation and abuse are restored to underprivileged children.